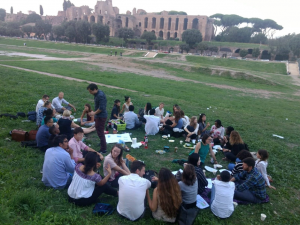 Young UN in Rome brings together young professionals from the three Rome-based United Nations agencies FAO, IFAD and WFP. Building upon various initiatives in the past, the hub was formed in summer 2018 to join the global Young UN network. The group organizes activities open to anyone feeling young at heart independent of contract types, including monthly aperitivos and brainstorming sessions. More events are planned on career growth and development, inter-agency exchange and collaboration. If you would like to join as a member or have any questions, please reach out to young.un.rome@gmail.com.